This month’s Housing Management & Maintenance magazine includes a feature about Wrekin Windows supplying A rated PVC-u windows to Dudley Council to help improve energy efficiency in their existing housing stock. Since starting the contract in December 2012, they have manufactured and supplied more than 35,000 windows for Dudley Council properties. Dudley Council has fully embraced the Government’s drive to eradicate fuel poverty with more people falling into the band of fuel poor households. A fuel poor household is one which needs to spend more than 10% of its income on all fuel used to heat its home to an adequate standard. A household is considered to be in fuel poverty if they have required fuel costs that are above average and, were they to spend that amount, they would have a residual income below the official poverty line. 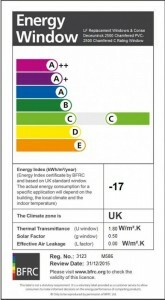 The energy efficiency of a property is a key area in which Dudley Council can have an impact on reducing fuel poverty, which affects some of the most vulnerable people in society. Older people are at particular risk of health problems, but children and people with disabilities or illnesses are also vulnerable. Through continued investment in their housing stock, they can maximise the impact on fuel poverty and poor health, as tenants are more likely to be vulnerable to fuel poverty. 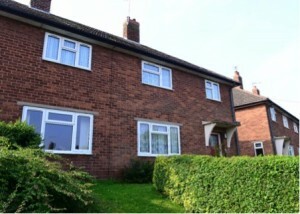 Dudley Council has tackled this by replacing old, inefficient windows with new, energy-efficient PVC-u windows that retain more heat in the property, reducing the amount of energy required to generate that heat. Wrekin Windows has specialised in supplying windows for social and affordable housing for over three decades, therefore has substantial experienced of working closely with Councils and local authorities, offering a full contract management, supply only or supply and fit service. Wrekin WIndows is pleased to be contributing towards a project that is making a real difference and looks forward to continuing the relationship with Dudley Council to help reduce fuel poverty further and improve the well-being of its residents. To read the full story, check it out in November’s edition of Housing Management & Maintenance magazine or read the case study on this website.